It’s time to have some fun in the studio. 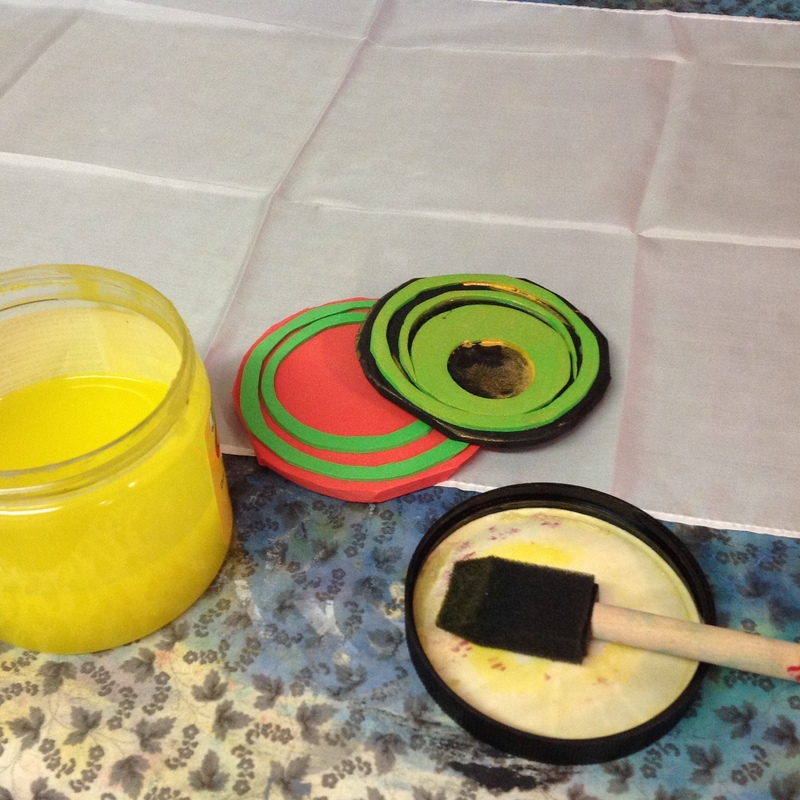 I gathered supplies: a jar of Color Magnet by Jacquard, a solid white silk scarf, a foam brush, and a few simple stamps. I carefully brushed the fluid onto the stamps and pressed the design onto the scarf. Now I am waiting. I like repeating the same shape onto the design field, considering the relationship with the other marks and the untouched areas. It is easier to focus on composition when I use the same shape. It reminds me of placing 8 identical chairs at a dining table: 4 on a side or 3 on each side and one at each end. The scarf dries for 24 hours, then it will be dyed, rinsed, washed, dried, and ironed. I’ll post the results when the process is complete. Look for repeated shapes today. Do you like them? This entry was posted in Traveling in Spirals and tagged composition, fabric studio, hand crafted, inspiration, practice, process, repeated circles, silk scarf printing, stamping with Color Magnet by norma17. Bookmark the permalink.